Now, this isn’t a new segment for Maruti; it has had the SX4 in the past. But, even with its large wheels and ground clearance, roomy interior and a big boot, the SX4 struggled. The reason: perception. 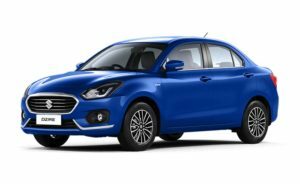 No one wanted a full-fledged C-Segment car from a maker of small, affordable hatchbacks and compact sedans. 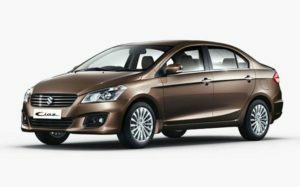 But now with the Maruti Ciaz, Maruti finally has a product to draw you and me away from the Honda Citys and Hyundai Vernas of the world. This should be interesting. The Ciaz also managed to delight us with its ride quality. The stiffer chassis and the suspension set up gives the right mix of rigidity and compliant ride quality. Straight line stability is excellent. Though we cant quite comment on cornering ability after the short test drive we had, it would be safe to say that the Ciaz would match segment benchmarks. We feel that Maruti Suzuki potentially has a better premium sedan in the Ciaz than some of the competition. 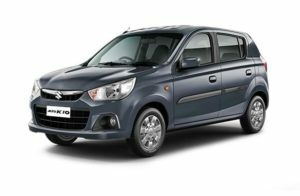 Features like the rear sunscreen, SmartPlay infotainment system sand personal reading lamps for the rear occupants are big pluses for buyers in the segment. We have to wait for the launch for the price announcement, but a Rs. 8 lakh to Rs. 10.5 lakh range will possibly leave the competition palpitating.